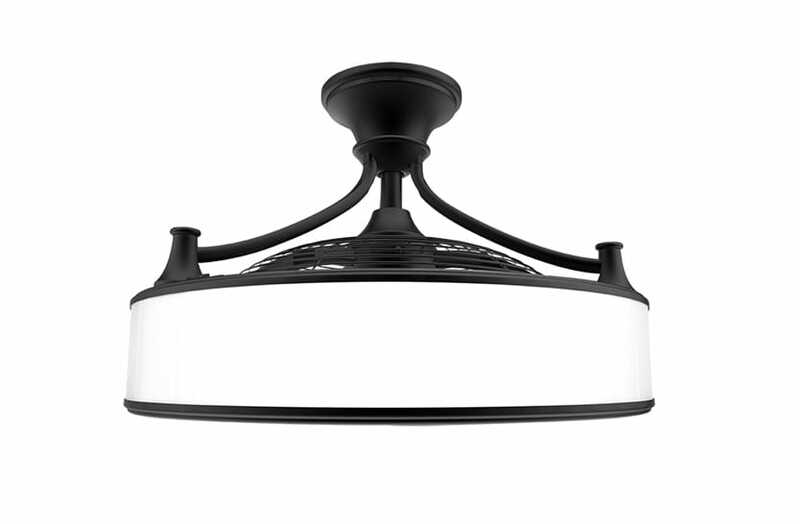 Aesthetically fashioned, forward-thinking technology in an easy-to-install design. 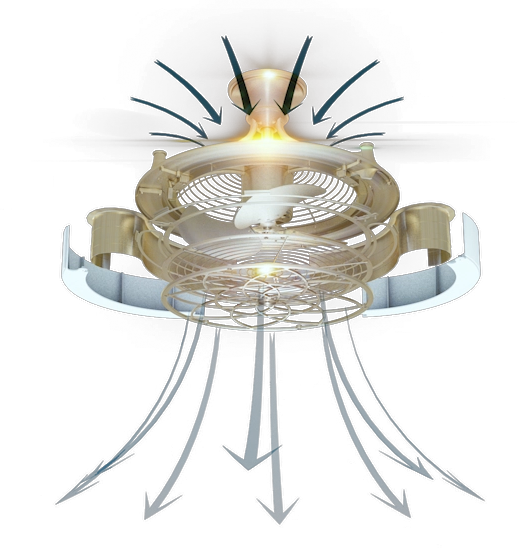 The enclosed fan with variable speed circulates air over 1,400 cubic feet per minute (CFM), but without the wobble of traditional fans or noise of leading competitors. 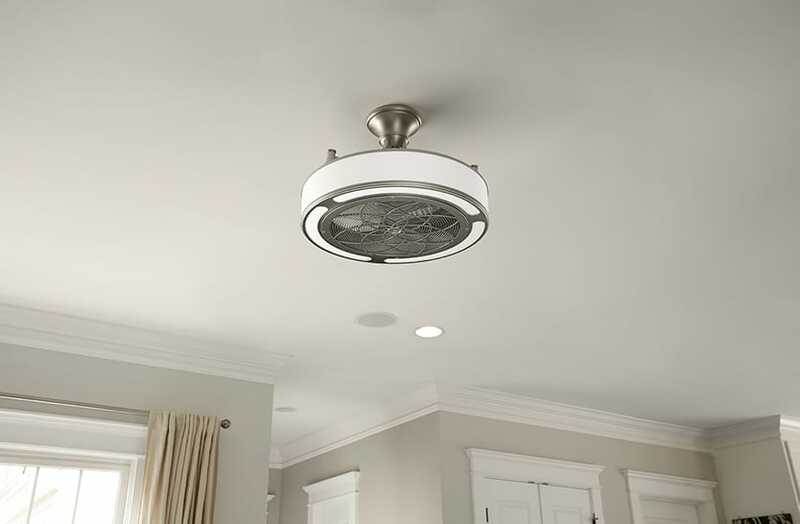 The Anderson fan is reversible, giving you year-round comfort, and the included remote control lets you select your preferred speed setting. 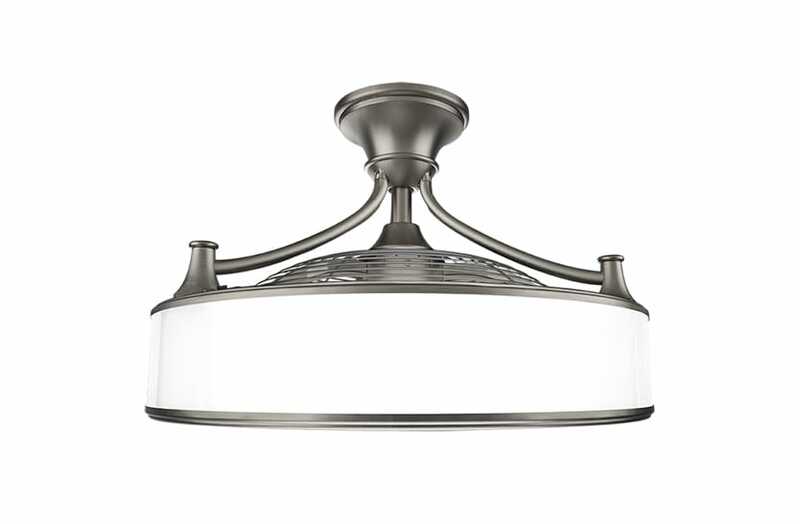 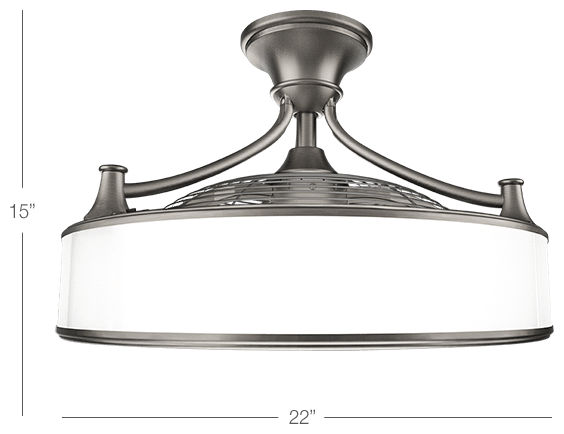 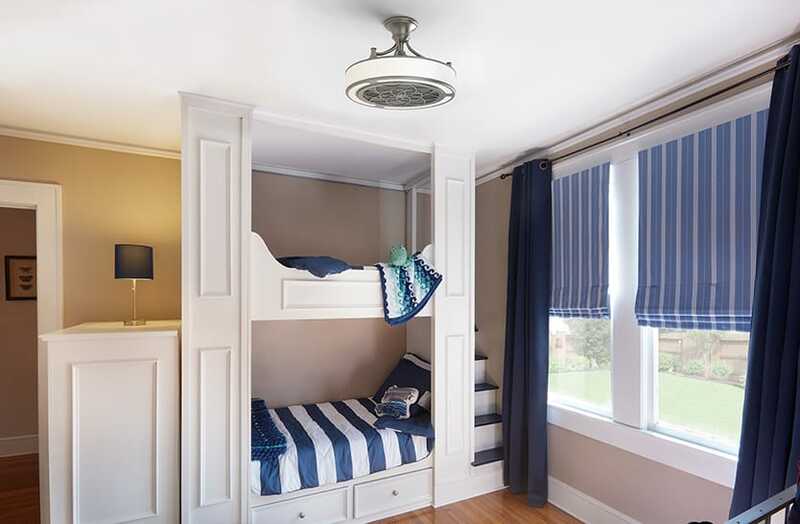 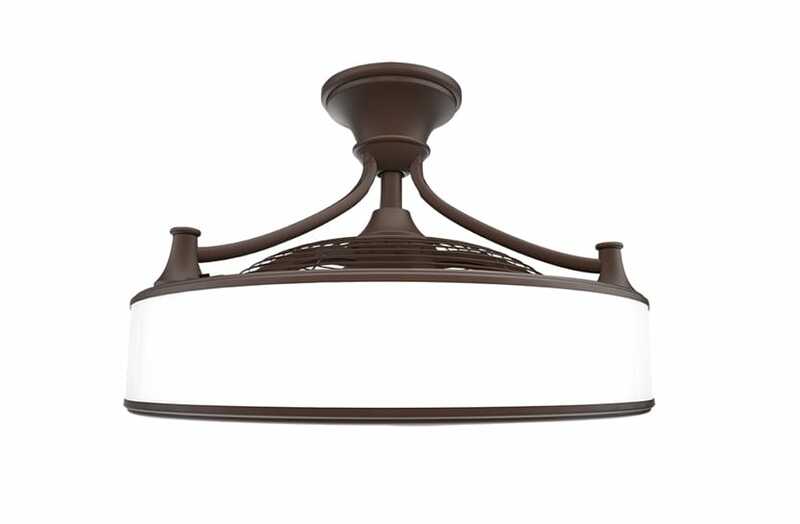 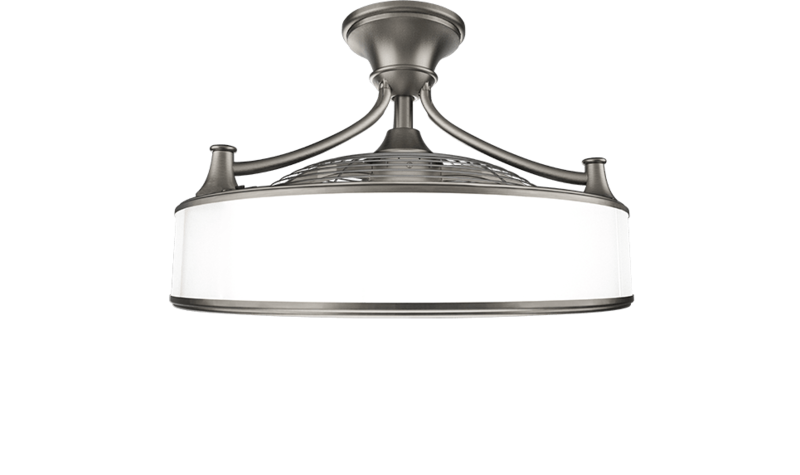 The Anderson fan is energy efficient, utilizing dimmable 50,000-hour LED lights that encompass the fixture. 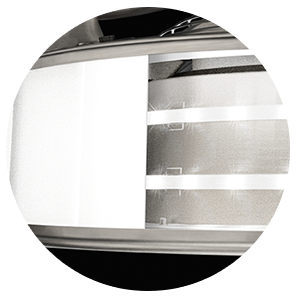 Bathe your home with 360° of strobe-free, warm white light with up to 500 Lumens of brightness. 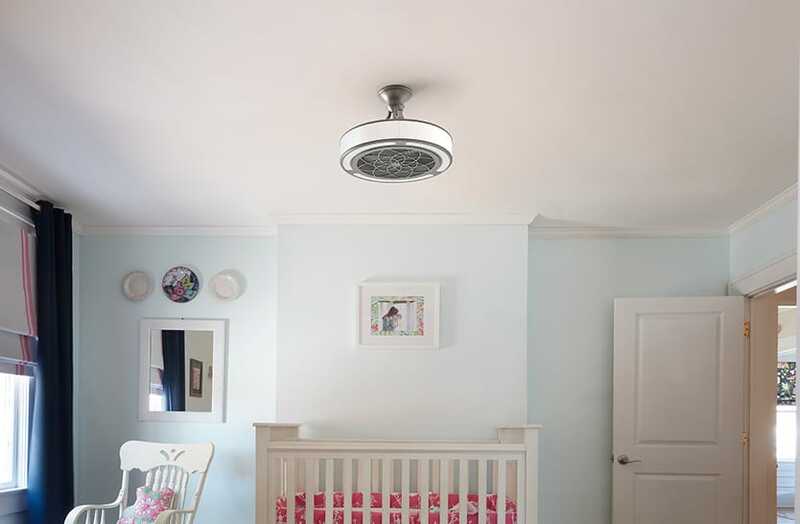 The Anderson fan is damp rated, making it suitable for use in covered outdoor spaces. 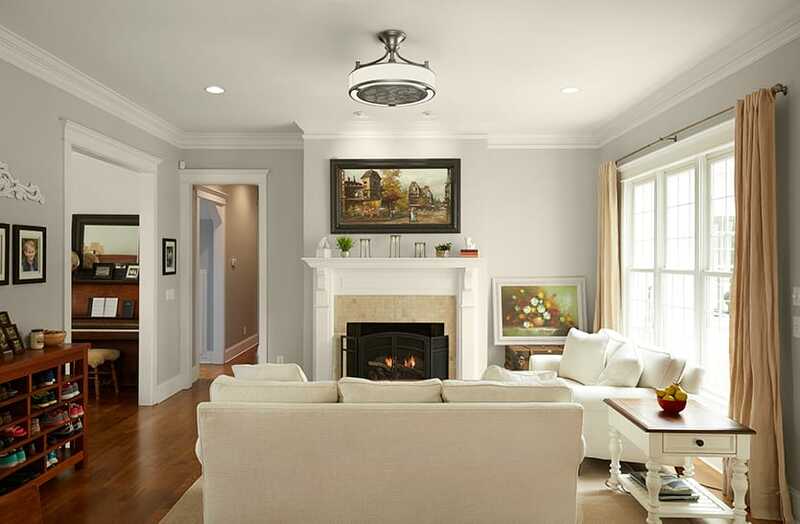 The aesthetically fashioned design complements any interior space. 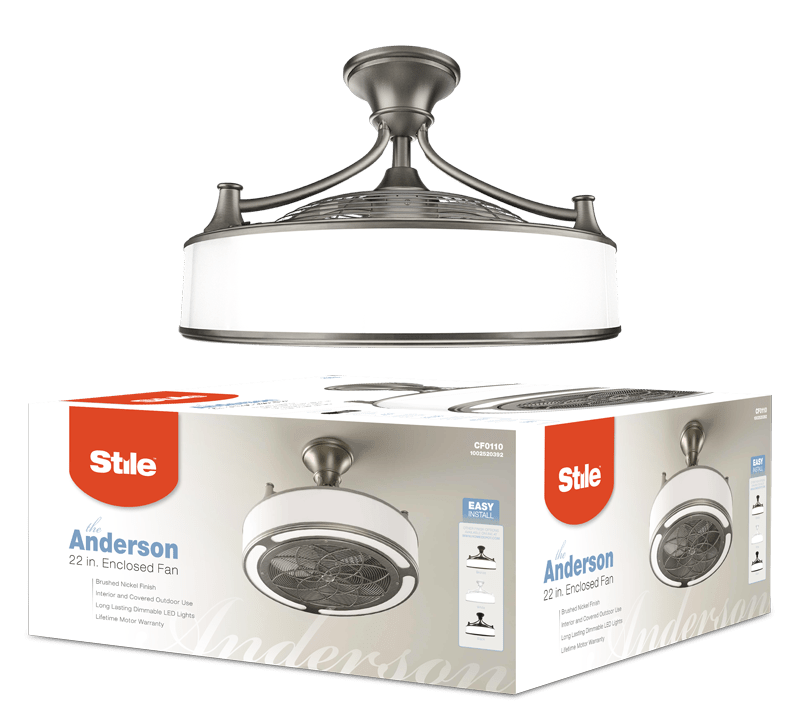 With no blade or lighting assembly, the Anderson is ready to install straight from the box. 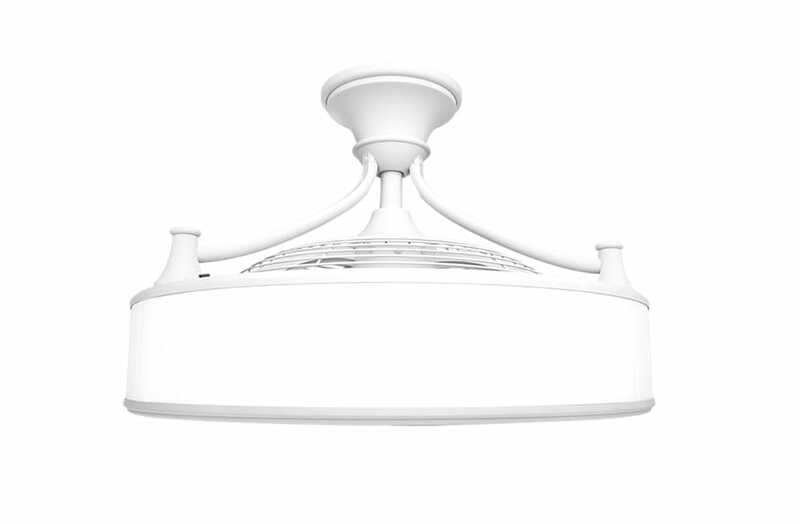 It comes pre-balanced so you don’t have to tweak or adjust, and features a wobble-free design.